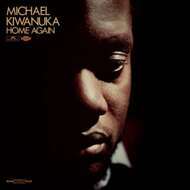 Finally the debut album of Michael Kiwanuka. Includes printed inner sleeve. Highly Recommended! Winner of the BBC "Sound of 2012' accolade, UK singer songwriter Michael Kiwanuka has a bluesy voice not too far from Ben Harper, and a sweet, lameting debut single "Tell Me A Tale" that sounds like David Gray with a gospel swing.